WhatsApp is best message service used in today world. Hacking WhatsApp is very trending in recent years. There is a personal reason to Hack WhatsApp. 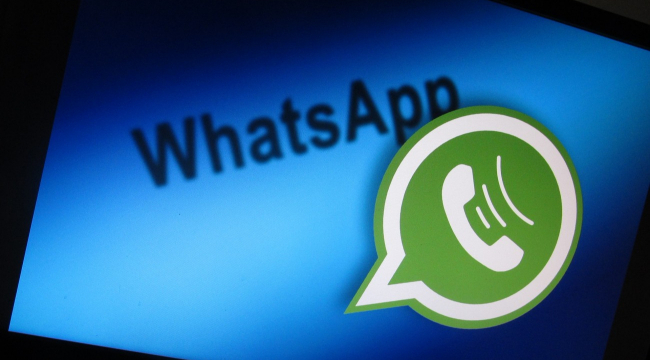 WhatsApp recently releases Business version. So securing your WhatsApp is very important. I have covered everything in this article how to secure your WhatsApp from Hackers. Make sure you read everything from this article. Many of you want to know how to Hack WhatsApp. But here I will cover only about how to secure WhatsApp. We all lock our WhatsApp with fingerprint or pattern etc. But if someone just tries to create WhatsApp account using your mobile number and he/she can easily see WhatsApp code without unlocking the phone. You can hide notification from settings depending upon brand. But your enemy/ Hacker can use call me feature. For picking call, there is no need of opening Lock Screen. So make sure any person did not touch your phone. You can apply a lock on pick all option too if you really think somebody can hack your WhatsApp. Some of your friends know our phone pattern but they can unlock the phone and read verification code. But if you apply step 2 verification code then WhatsApp need your WhatsApp step 2 code. How to apply for WhatsApp step 2 verification code. Open WhatsApp click on the three-dot menu and select settings. Tap On Two-step verification and click on ENABLE. In the last Step enter your email and click on Next. Again Confirm your email by Reentering email and tap on Save button then done. I hope you know about spy apps. That will copy or send WhatsApp messages to Hacker. There are thousands of antivirus available in the play store but they will not work. They are completely useless. When there is spy app, then your battery will drain fast and your data usages will suddenly increase. You can find apps that use data in the background to find spy app. Some of us installed new keyboard from play store like the swift keyword. I’m not this is spy app but it can be. Recently emoji keyword servers hacked. They are recording all keystrokes typed by the users. So I will not recommend you to install any third party app. Use Google keyword. Open three-dot menu from the Right top corner and click on WhatsApp web. Check all login devices. Are all devices belong to you? If not then remove it immediately. I’m not saying these apps are safe but they can steal your data. While download GbWhatsApp chrome gives me a warning, this app can harm your device. If you are really concerned about your privacy then don’t use these type of apps. For the computer, antivirus is essential. In windows, you can update Window Defender. It is awesome make sure keep updating it. You can use any third party app if you want but default antivirus is very good. Sometimes antivirus will not work so make sure you download software from the original site only. Sometimes crack version can include malware. Delete your WhatsApp messages. I generally delete my WhatsApp messages so nobody can read these messages. Most of the times we think our WhatsApp is hacked but in reality, it is not. If you cover all these steps then 99% there is no changes your WhatsApp can hack. On the internet, you can find so many fake websites claiming hacking WhatsApp just by phone number. Hacking did not work like this. Don’t worry your WhatsApp can’t be hacked with these fake sites. (You can waste your time if you did not believe in me). Your WhatsApp can only hack if hacker will able to succeed by making you fool. Don’t install any apps from the third party. Only install apps from play store or App store.